Michigan state trooper and state legislator elected to nine terms in US Congress beginning in 1991, succeeding Bob Davis. Conservative "Blue Dog" Democrat; anti-abortion rights, pro-gay rights, pro-gun rights, pro-net neutrality. Supported 1997 Kyoto Protocol to address climate change, 2001 USA PATRIOT Act, 2006 Secure Fence Act, 2008 GM/Chrysler bailout, 2009 economic stimulus, 2010 health care reform; opposed 1993 North American Free Trade Agreement (NAFTA), 1998-99 Clinton impeachment, 2002 Iraq War resolution, 2004 restriction to bankruptcy rules, 2005 Central American Free Trade Agreement (CAFTA), 2008 Wall Street bailout. 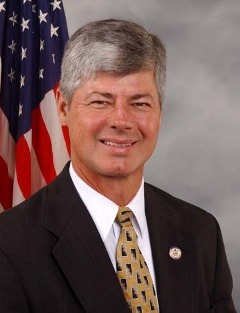 Not a candidate for re-election in 2010, and succeeded in Congress by Dan Benishek. Father: Frank J. Stupak, Sr.